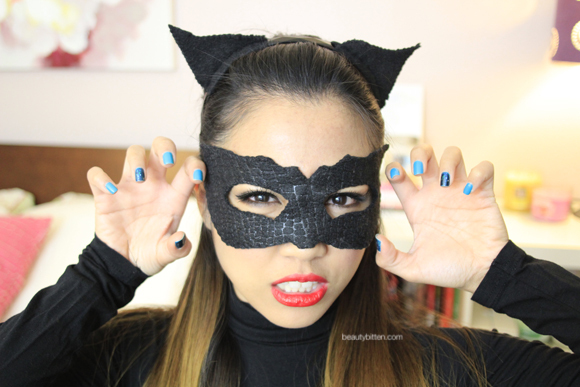 Halloween is fast approaching! And since this year, it's in the middle of the week, you probably have a Halloween party to attend to this weekend. If you're still looking for a last minute Halloween costume, here's a possible idea for you just in case you don't want to spend a fortune on your costume. 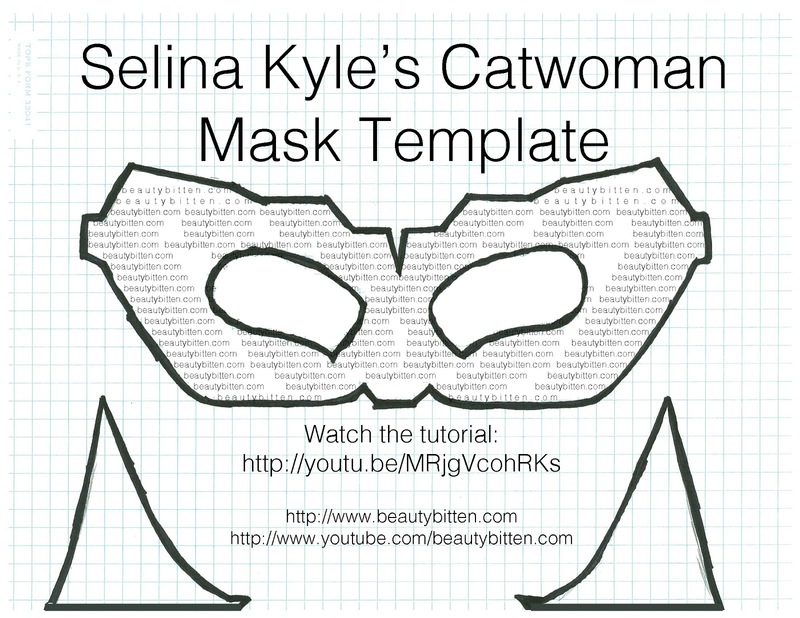 Click after to jump to find out how I recreated Selina Kyle's alter ego, the Catwoman, from the movie The Dark Knight Rises. With a few items from your closet and art supplies, you'll have your costume this year in no time! Every Halloween, I try to make my costumes every year. And this is probably the easiest costume I've ever made for Halloween. Two years ago, I went as Katy Perry (see my costume here), and it was the most labor intensive costume ever (albeit cute and original at the time). But this year, I decided to go easy on myself as well as utilize what I have in my closet. I've provided a template below for her mask. It took me about an hour to two hours to do the mask. It really depends on how fast you can stitch :). **Please let me know if the template has been resized. I drew the template on a 8 x 11 grid paper and just scanned it. - NYX Cosmetics lipliner in "Hot Red"
- Wet N Wild lipstick in "Stoplight Red"
I hope you enjoyed this tutorial! 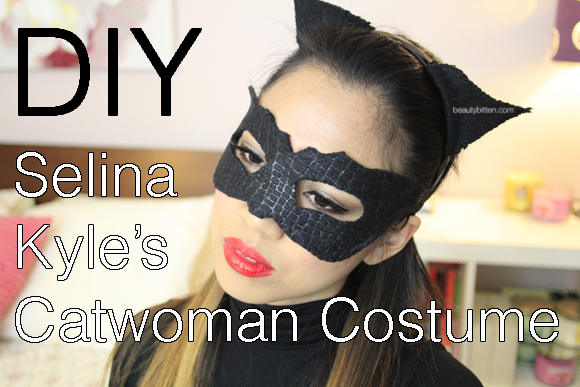 Tweet me or tag me on Instagram (@yummiebitez) me if you decided to go as Catwoman this Halloween! Happy Halloween! Party or Trick or Treat safely!! lol I was thinking of doing the exact same thing, also head to toe black outfit w/ turtleneck, faux leather leggings & high heeled boots. but I'm glad you showed how to make the mask! thanks! great job! You look awesome! Your explanation on how to do everything is very thorough! lets enjoy with high profile sydney escorts in Australia.